Is Vehicle Complexity Killing The Industry? Earlier this year, I wrote about my 3 predictions for the collision repair sector for 2016. My first prediction was that technology will play an increasing role in the industry. Vehicle manufacturing now resembles high tech aerospace manufacturing with the extensive use of carbon fibre, aluminium, and other advanced materials. OEMs will take a more active role in creating repair methodology and enforcing repair standards. But is vehicle complexity killing the industry? I admit, suggesting complexity is “killing the industry” is a bit of an overstatement. But I certainly believe that increasing technological complexity fundamentally changes the industry. And, depending on your inclination and your time horizon, can either be seen as a huge opportunity or a huge threat. Regardless of your opinion, the financial implications are significant. The collision industry is complex, for a host of uncontrollable reasons and a number of self-created ones. Adding to the standard complexity of the industry, increasing technological complexity is creating a shift in the way vehicles are repaired. Advanced materials require new tooling, new equipment, new training, updated or retrofitted facilities. In the US, the starting investment in tooling and facility upgrades to become Ford aluminum approved start at $50,000. More advanced programmes are much more expensive and have substantial ongoing expenses associated with them. In response to the increasing demand for increased transparency and standardisation, OEMs have begun to take a more active role in creating repair methodology and enforcing repair standards. While increasing standardisation improves business outcomes on a host of different metrics, there is a very real cost to comply with standards. Even so, the attraction for many is that certifications increase quality and generate increased sales. But there are significant costs associated with increasing standardisation that are often overlooked, and in my opinion, changing how business will operate in the future. For many years, repairers have clamored for more OEM involvement in the industry. Many reasoned that if OEMs were more involved, repairers would be better positioned to document and bill for certain operations, thus increasing sales and profits. The hope was that certifications would also increase quality and consistency. References were made to US-based shops that specialised in high end European lines that generated seemingly massive sales from their locations. It was (and still is) not uncommon to hear stories of these facilities generating well over $1 million in sales a month (Fletcher Jones, the largest Mercedes dealer in the country did over $18 million in collision repair sales in 2014). But standards require training and specialised equipment. As a result of this, the collision repair industry is becoming more capital intensive than it ever has been in history. More tools, more equipment, more training, more clean rooms. Capital intensity refers to an increase in things like spray booths, prep stations, frame racks, etc. Generally, anything that is a long term assert can be thought of a capital cost. The impact of the increasing capital expense on the industry is significant. Increasing vehicle complexity is matched by increasing certification complexity. There is even a regulatory component to this. Some states in the US are beginning to view tools as something the employer ought to provide, rather than the employee. 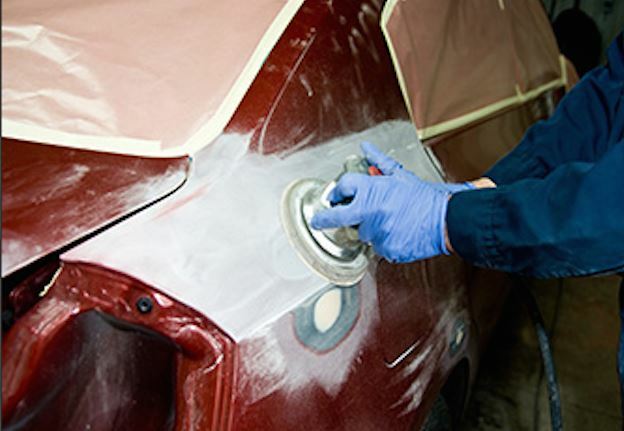 The costs to operate a modern collision repair facility will continue to increase. Managing the tools, equipment, and procedures required by different OEMs will become increasingly important. Understanding how to manage the financial outlay will play an increasingly important role in the business. In short, the industry will continue to get more competitive. Margins will continue to be compressed. The increasing capital requirements in the industry will put pressure on margins. Just as investing in expensive down draft booths and compliant burners decades ago caused a number of shops to shut their doors, so too will the increased cost of certifications and equipment. Larger operators will use scale to their advantage to lower both price and cost, further increasing competition. My goal is that you double the value of your business. In an industry of increasing capital intensity, developing scale becomes very important. There are a lot of ways you can do that, from expanding and acquiring another location, merging with another business or understanding how to best finance equipment purchases and facility upgrades. Conversely, if all that seems like too much, you may decide that now is a good time to start your exit plan. If you are unsure of where to start, Brad has recently launched Simple Financial Dashboard (http://supp-co.com/dashboard/) to help improve your financials. His company also provides CFO and strategic advisory services.This article first appeared in Auto Body Repair News. Brad Mewes is a management consultant, strategist and author of the blog: Supplement! Financial Insight for the Collision Repair Professional (http://supp-co.com/). He has a Masters in business administration in finance and is a former equity research associate.